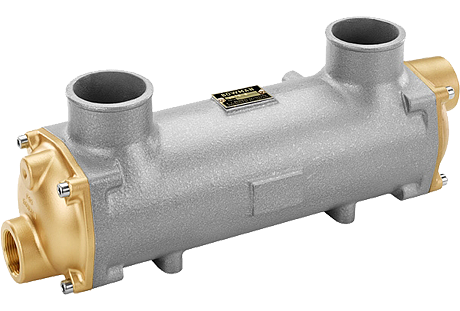 Bowman charge air heat exchangers are ideal for cooling marine engines as well as various land based engines such as gensets, co-generation equipment and fire pumps. They are also suitable for facilitating engine test and development programs. Additional charge air coolers designed for specific engines are also available – please contact us for more information. Available in materials suitable for cooling with fresh or salt water.